The Love Cushions are in the shape of a heart with the size ranging from 13 to 15 inches and are available in 2 different variants. These cushions can also be decoratively used to keep in the car, bedroom or drawing rooms. All the materials used in these toys and cushions are of premium quality,adhering to high safety standards and are soft, washable, skin friendly and non – toxic in nature. 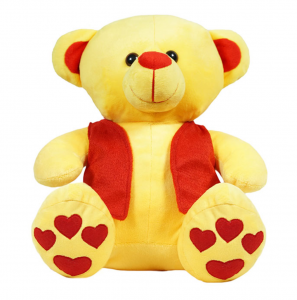 We have manufactured these soft toys especially for teenagers and youths keeping in mind their emotions, needs and demands.